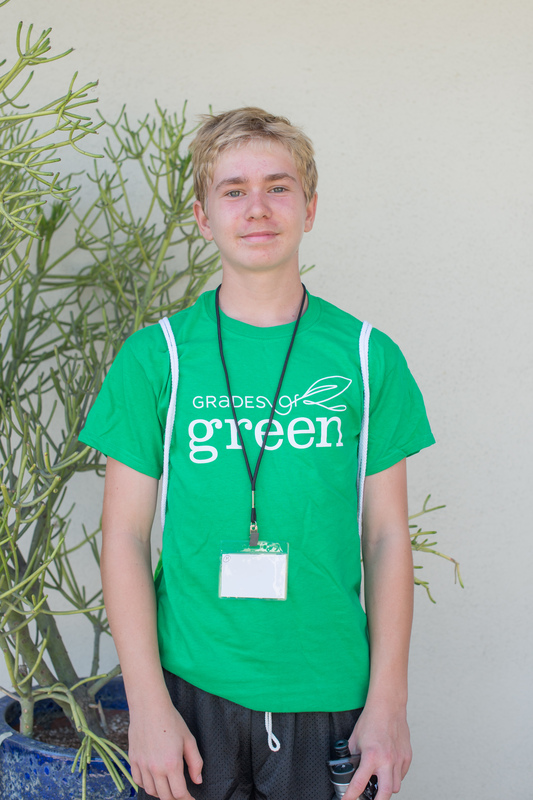 Story written by 8th Grade Youth Corps Student Noah S.
My family and I try to be good eco-stewards of our Earth by recycling and composting, but like most people, we are often confused about what waste goes in which bin. This is a problem because searching the web to find out where a milk carton goes isn’t always a possible or convenient option. Recently while on a family trip to France, I found a solution! I saw a pamphlet designed to help people sort their trash into the correct waste bin and I thought, “LA doesn’t have a guide that is as handy as this one, and if we did, we could be better eco-stewards!” Inspired by this pamphlet, I decided to create my own! I took on the Research and Advocacy Activity on the Grades of Green website and focused on creating a simple, pocket-sized waste sorting guide that could help people determine how to sort their waste. On one side of my guide is an alphabetical list of common waste items and how each should be disposed of. On the other side, the waste items are grouped by waste bin; i.e. : recycle, compost, or trash. My waste sorting guide can be found on my school’s website, check it out! My goal is to share this guide with the Los Angeles community and give us all a simple, efficient tool to become better eco-stewards and go green! Interested in learning more about the Los Angeles Youth Corps Eco-Leadership program? Join us on Sunday, May 20th from 11am – 2pm for the Youth Corps Celebration Day! Our partners at Subaru Pacific will be hosting us, and the afternoon will include a science fair style event where all Eco-Leaders will present their projects.